XREXS is a Chinese manufacturer producing some cheap accessories like Bluetooth speakers, phone holder, charger, VR headset, selfie stick, or even clothes hangers. The XREXS Smart Speaker is the most expensive product of them all, let’s check it out. Inside the box, you can find the speaker itself, a 3.5mm audio cable, a microUSB cable and user manuals. When I picked up the speaker, I was quite surprised as it is heavier than I expected from such a compact body. This is probably because the whole chassis is made of aluminum, they only use some plastic on the front panel and buttons. 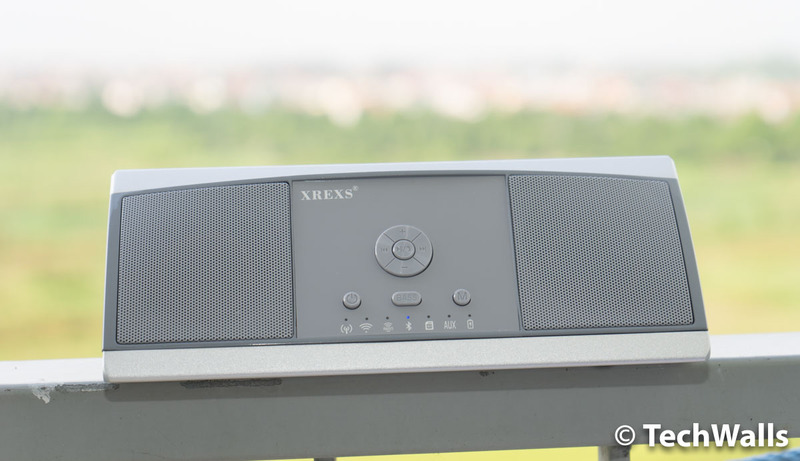 And if you haven’t noticed, the design of the XREXS is different from most Bluetooth speakers I’ve reviewed. It has a wedge shape so that the front drivers will have a slight tilt upward. 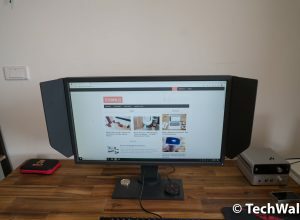 Notably, it features 2 passive bass radiators on the sides, some other speakers have the same arrangement and I really love it because it manages to boost the bass response significantly. All controls are put on the front, including the power button, bass button, mode switch button, volume controls and track controls. There are also some indicators right below to show you the current mode and battery status. All connections are put on the top of the speaker, you can find a charging port, an AUX jack, a microSD card slot, and a reset hole. 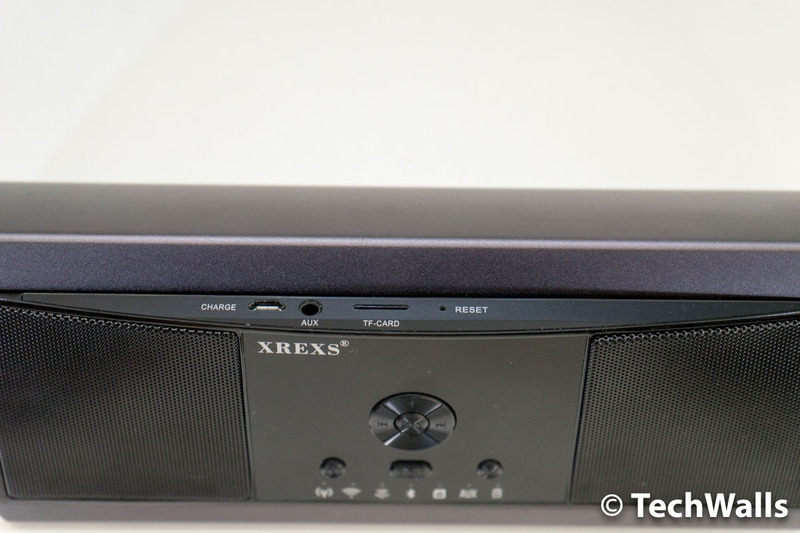 The XREXS is not simply a Bluetooth speaker, you can play music in many ways via the Internet or your local WiFi network. You can use the Play-Wi app and connect your speaker to the Internet, notice that the app is not available on Google Play Store, so use it at your own risk. The speaker also supports Bluetooth, DLNA, and AirPlay, so you don’t have to install that app to play music. You even can just insert a microSD card and enjoy your tunes. 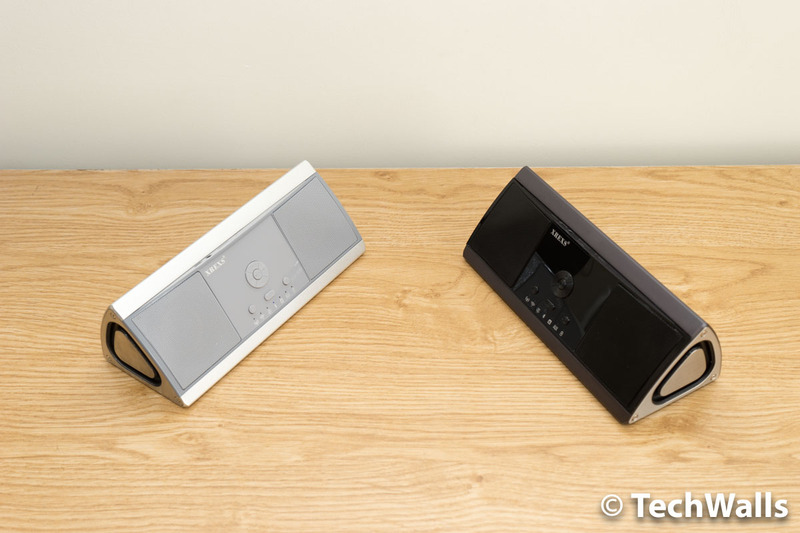 Another interesting feature is that you can pair the 2 speakers together to create a stereo system. 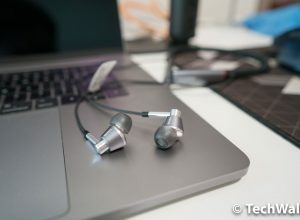 You just need to connect the first speaker via Bluetooth, turn on the 2nd speaker in Bluetooth mode, then press the next track on 1st speaker and previous track on 2nd speaker simultaneously for a few seconds. All done, you now have a much more powerful system. The battery life of the speaker is just average, it is rated at about 10 hours but I just could use it for around 7 hours. This is understandable because I often turn the volume very loud. The speaker is packed with some interesting features, but I’m a lot more impressed with its sound quality. I received 2 units for the test, including a black and a silver one. I was so disappointed when I turned on the black one because it sounded terrible and distorted. There is almost no bass at all and the sound becomes so uncomfortable to hear. This is probably because the passive radiators on the sides are not working. I guess this is a defective unit because the silver speaker doesn’t have this issue. 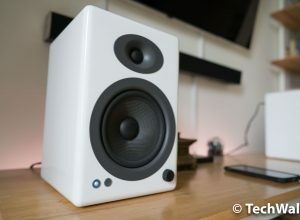 I’m so surprised as the XREXS speaker manages to produce a very good sound, this is probably the best sound I’ve ever heard from a Chinese wireless speaker at this price range. 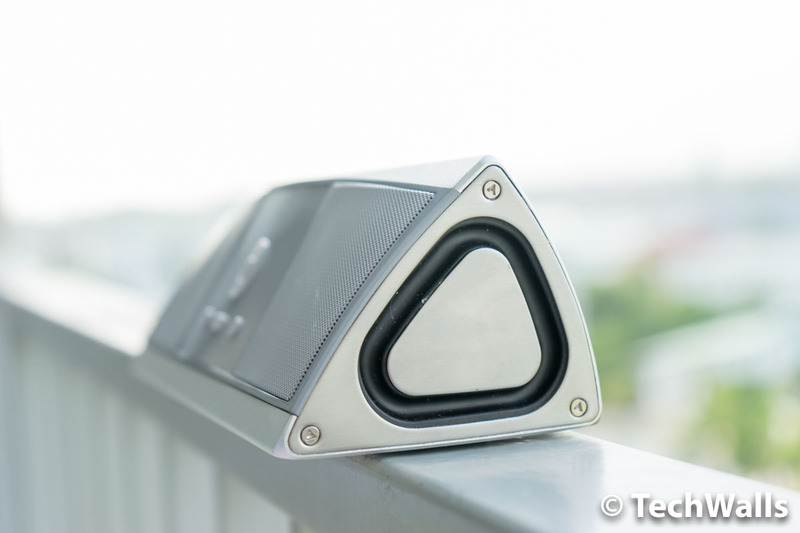 It sounds good outdoors but you will only get the best when turning on the speaker in your room. The lows and lower mids sound terrific even when compared to $200 speakers on Amazon. Besides, the soundstage is great, you can’t imagine such a wide sound could come from the small package. The only problem is that the sound might be a little too bright. It still sounds good when playing Pop & ballad songs but you will start hearing treble spikes when playing busier EDM tracks. I really hope that this will be fixed in the next generation, this comes very close to my favorite sound signature already. The XREXS is not a smart speaker like the Amazon Echo, however, it manages to produce a much more enjoyable sound. The price of this product is still quite expensive at the moment, you might want to wait until it is dropped to under $100. 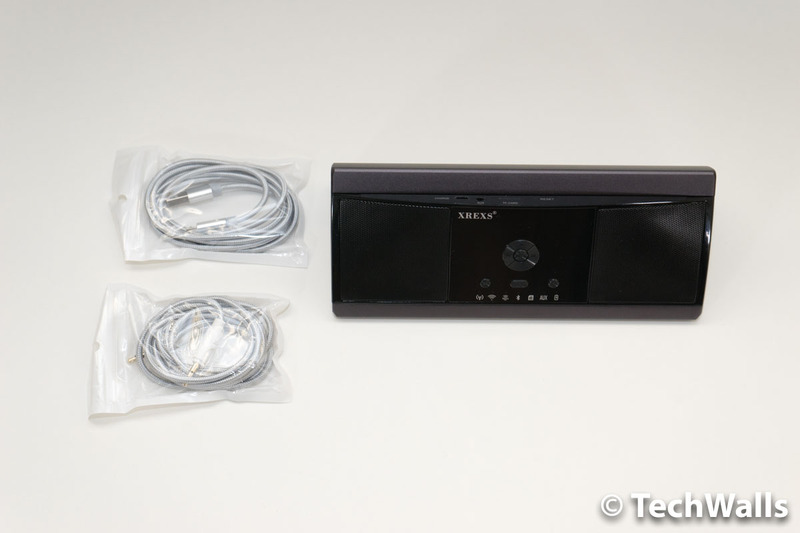 A wireless speaker with a lot of potentials but there are some remaining issues. Xrexs is the sorriest piece of electronic equipment I have ever owned. Won’t connect to anything, there are no instructions and everything I find online is in Chinese. Mine came with an English manual. I didn’t have that connection issue. Just press the M button to change to Bluetooth mode, then you can connect it to your phone. The speaker sound pretty good for its size. This is a piece of crap. The manual is written in gibberish English and there is no way to get it to work with Apple airplay. 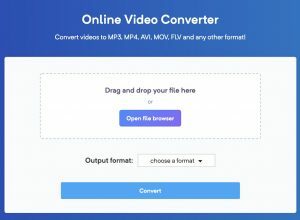 Even after connecting the ting to the internet and joining the device network, the device does not show up for airplay.